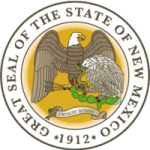 The child support laws in New Mexico set out the items and factors to consider in determining the financial responsibility the parents should own in providing child support for their children. Such factors and items are used by courts to enforce a settlement in the case of child support dispute. The guidelines have been set as laws and thus can be enforced on any parent depending on their financial wellbeing.